February Burger of the Month – B.L.T.A. Love is in the air! February is a month of taking extra special care of your loved ones, so why not please your taste buds with February’s Burger of the Month, the B.L.T.A. – Our original burger topped with bacon, lettuce, tomato and avocado. We must not forget to complement our taste buds with something sweet, since it is a month of love. Try our February Shake of the Month, Salted Caramel, made by Dave’s Ice Cream here in Hawaii exclusively for Teddy’s. Now don’t get too excited, because we know your taste buds will. 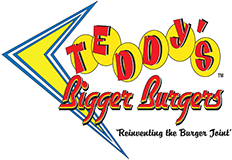 Spread the spirit of Valentines month and visit your nearest Teddy’s Bigger Burger.